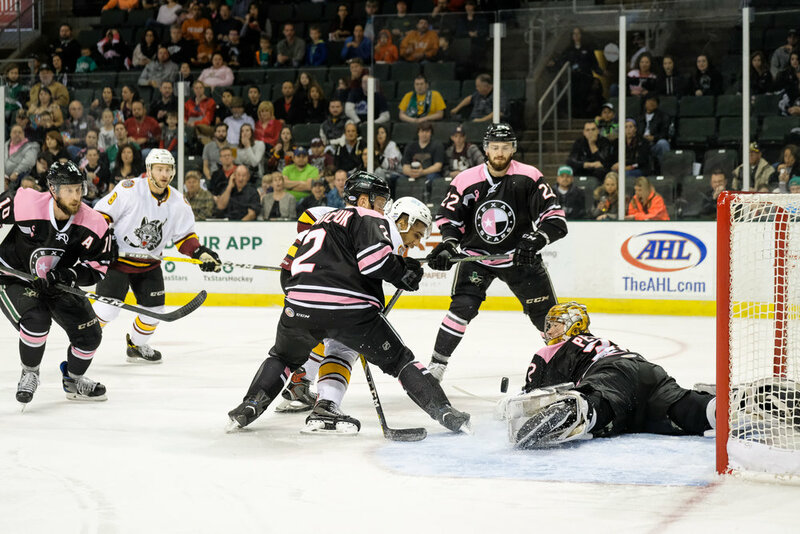 It was Pink in the Rink weekend at the HEB Center this past Friday and Saturday. 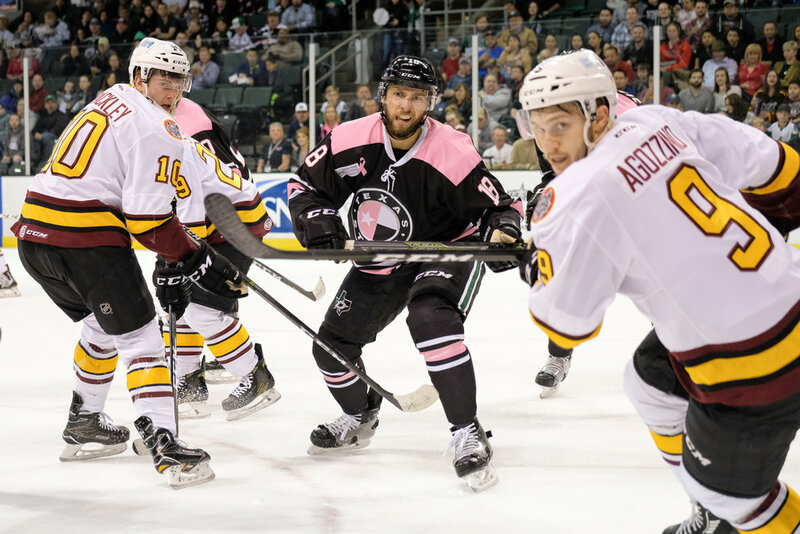 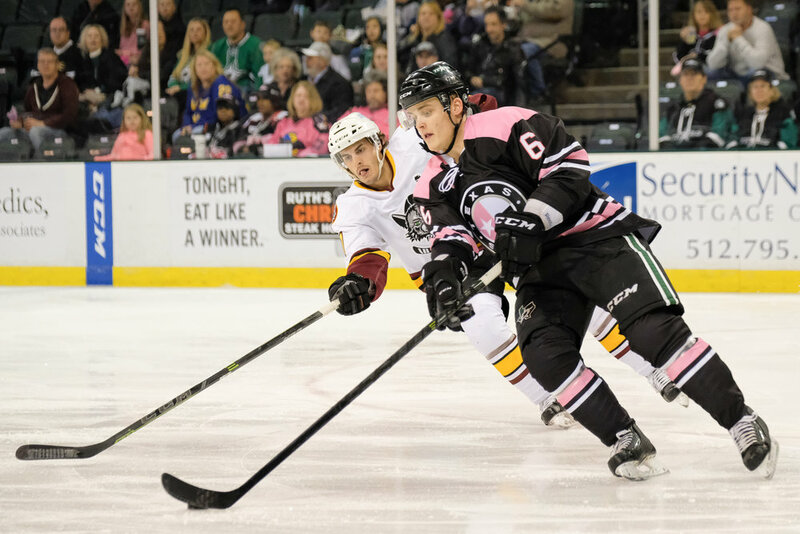 The Texas Stars wore special jerseys that featured a good dash of pink as they faced the Chicago Wolves both nights. 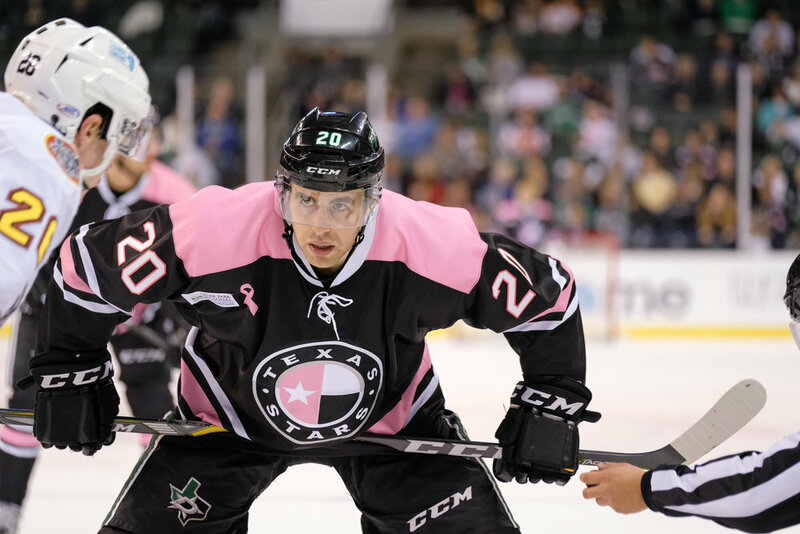 The jerseys were auctioned off to raise money that gets donated to the American Cancer Society. 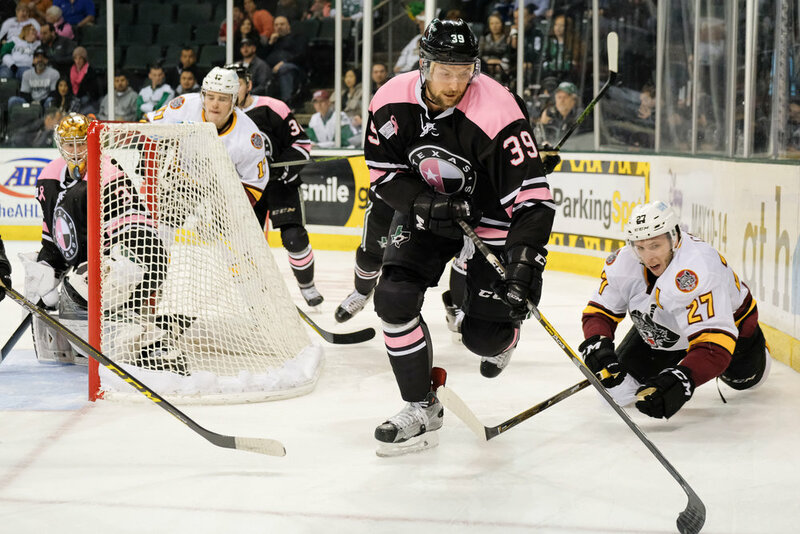 I was asked to help out with photo coverage and I enjoyed the frenzied set of games. 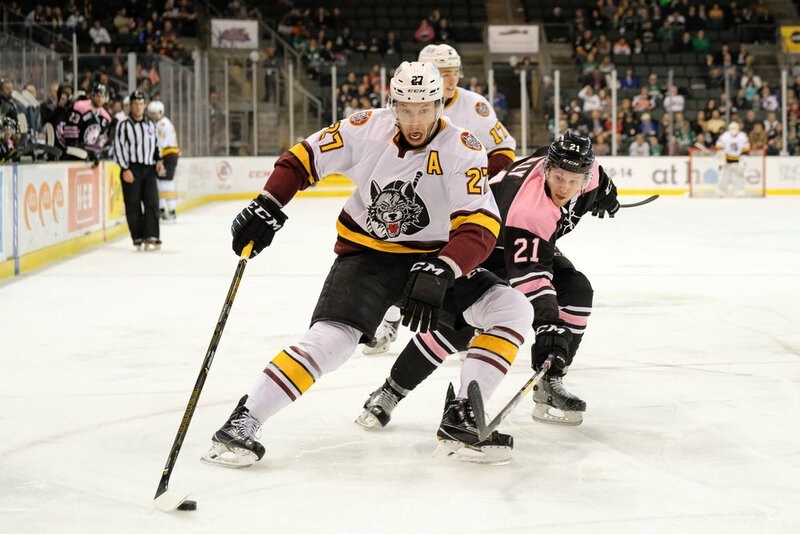 The Stars won Friday's matchup and the Wolves came away with the win on Saturday. 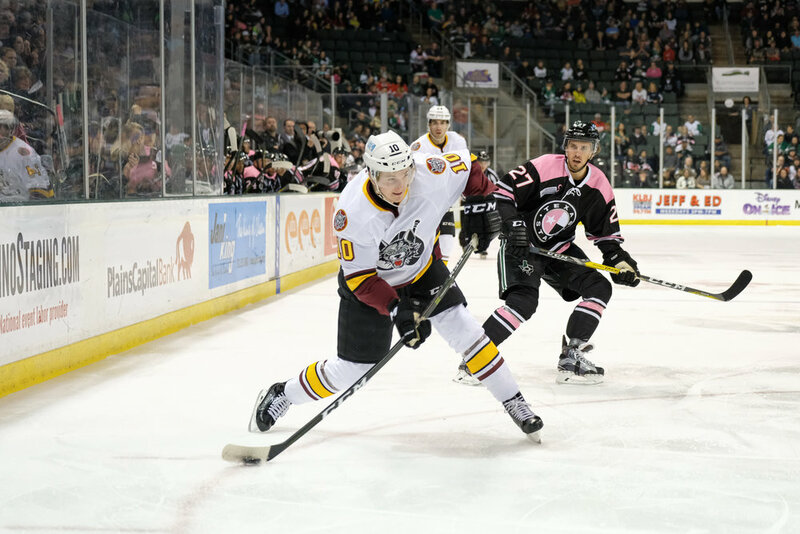 Here are some highlights from the two games. 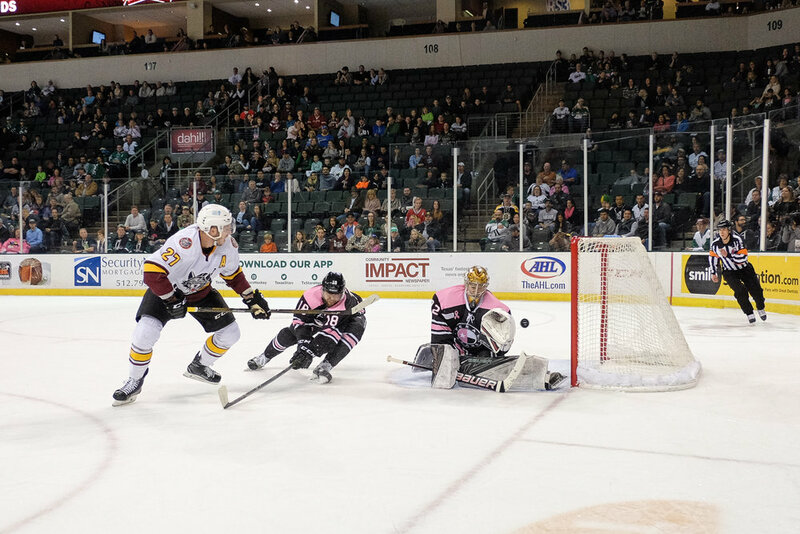 All images were taken with my Fujifilm X-T2 with the XF 50-150mm lens or X-T1 with the XF 18mm lens.